Ben and Jerry’s clusterfluff ice cream in between 2 pretzel potato chip chocolate chip cookies. Just follow any normal chocolate chip cookie recipe and add a teaspoon of instant coffee powder to the dry ingredients, substitute 1/4 of your white sugar for brown sugar, and fold in pieces of pretzel and potato chips at the same time that you fold in the chocolate chips. 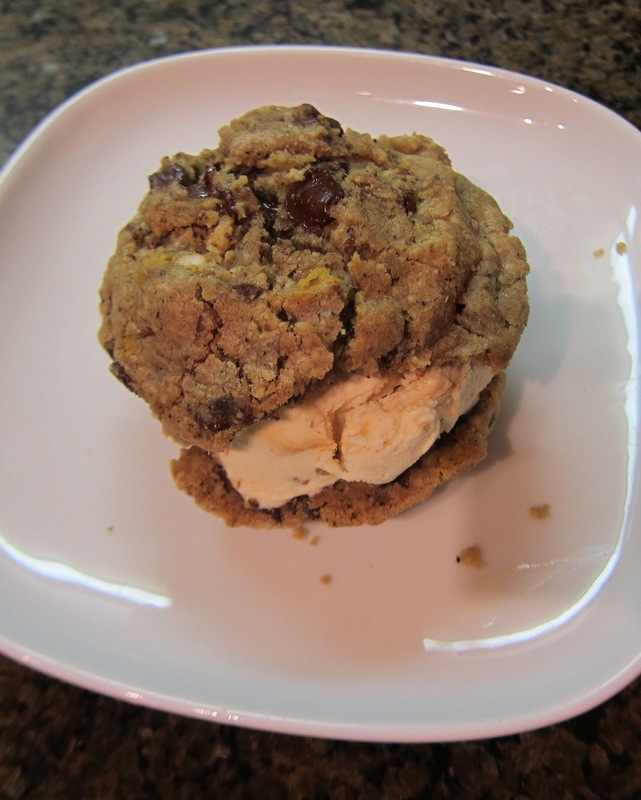 Then, the secret of all good, chewy cookies…put in the freezer until almost frozen. Do not thaw, transfer directly to a cookie sheet and into the oven. That’s how you get that melty center and crisp outer edge. okay so the first thing that you absolutely need for this is an ice cream maker. They are awesome. Mine is an old cuisine art model from about 8 years ago. They run about $30-60 dollars at target, wal mart, bed bath and beyond etc. Its so worth it. -follow the instructions on your model for how long to freeze the freezer bowl and how to operate the machine. sorry that Josh is in the background, I needed company in the kitchen today. After these fundamental ingredients, I tend to put in whatever I can find in my house or at my neighbors house. Today its vanilla extract (1 tspn), 1 T cocoa powder, nutella, and peanut m&m’s. make sure all your ingredients are well chilled so you don’t get ice cream soup! 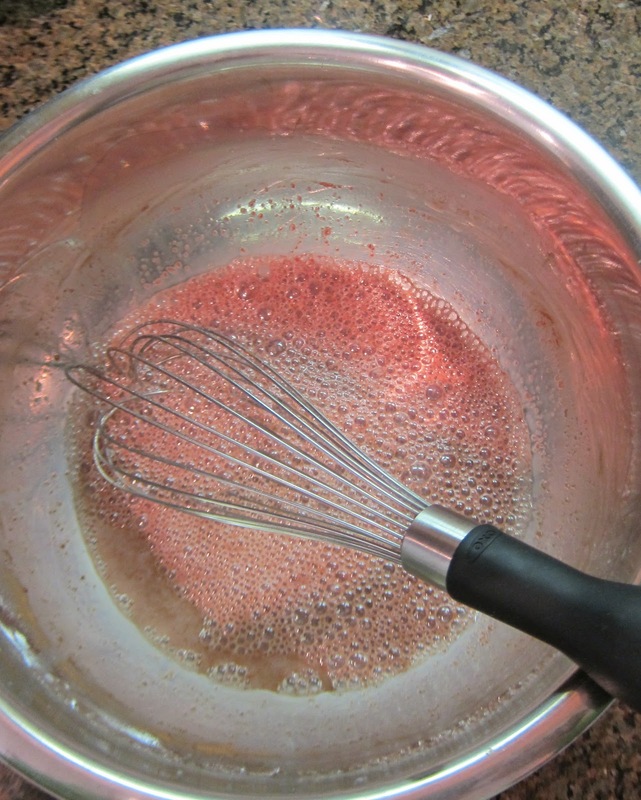 whisk together the milk and sugar until all the sugar is disolved. 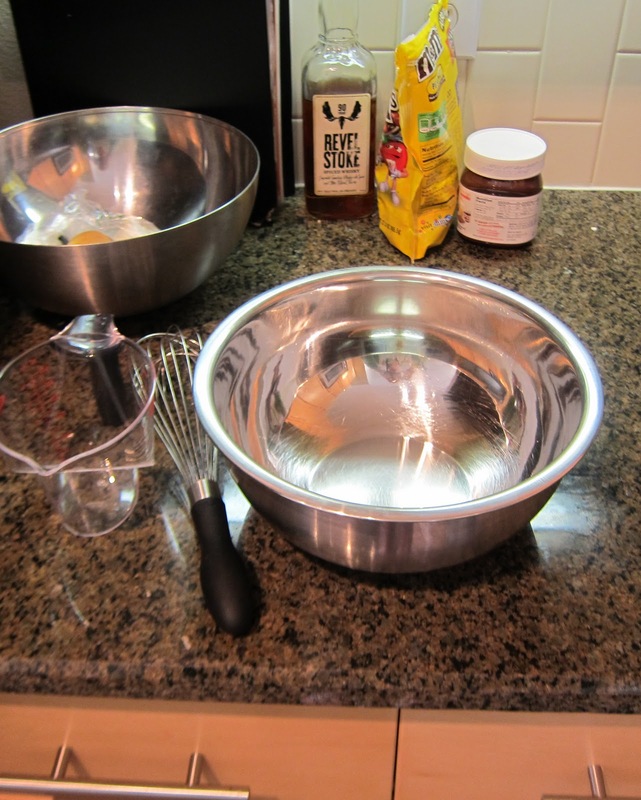 Add the vanilla extract and cocoa powder and whisk more. it should look like chocolate milk. 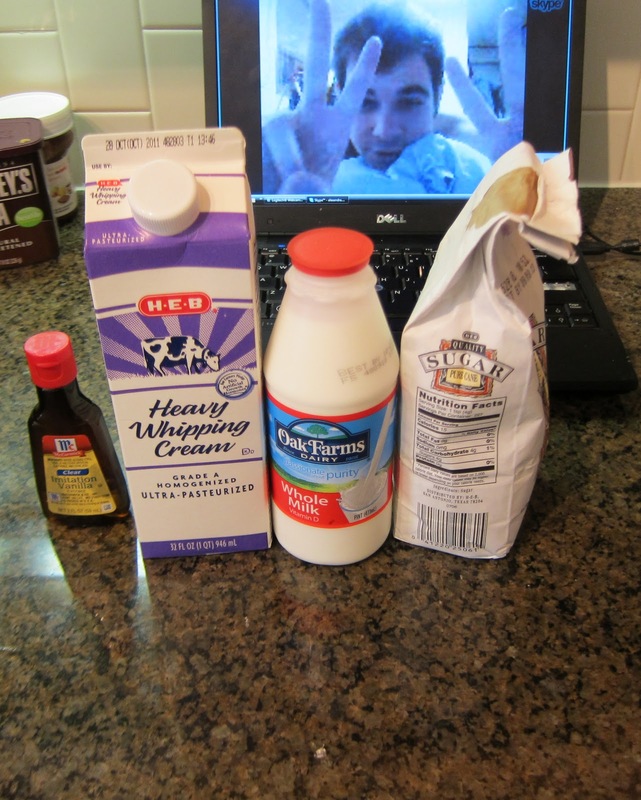 then whisk in the cream just enough to incorporate it, not too much or you’ll make whipped cream. 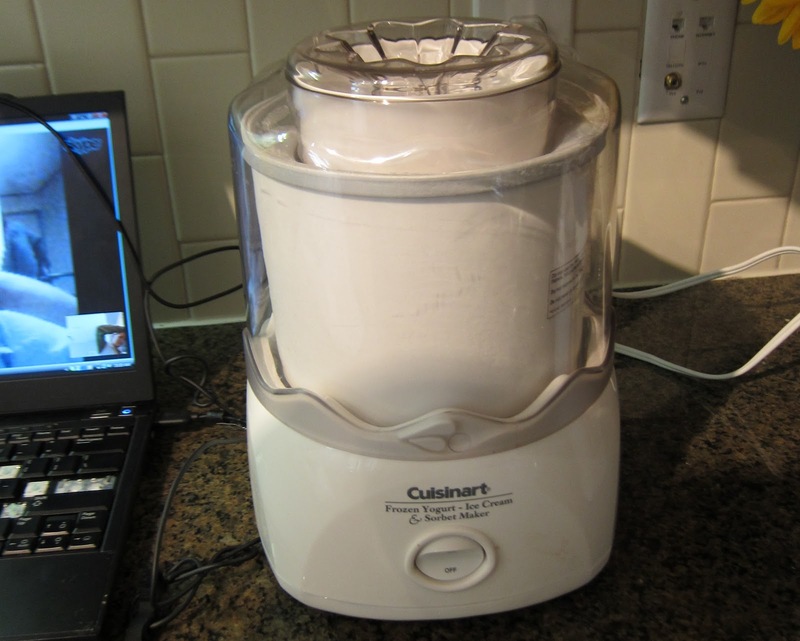 Turn the machine on and pour this mixture through the ingredient spout on the ice cream maker. Let cycle for 20 mins. 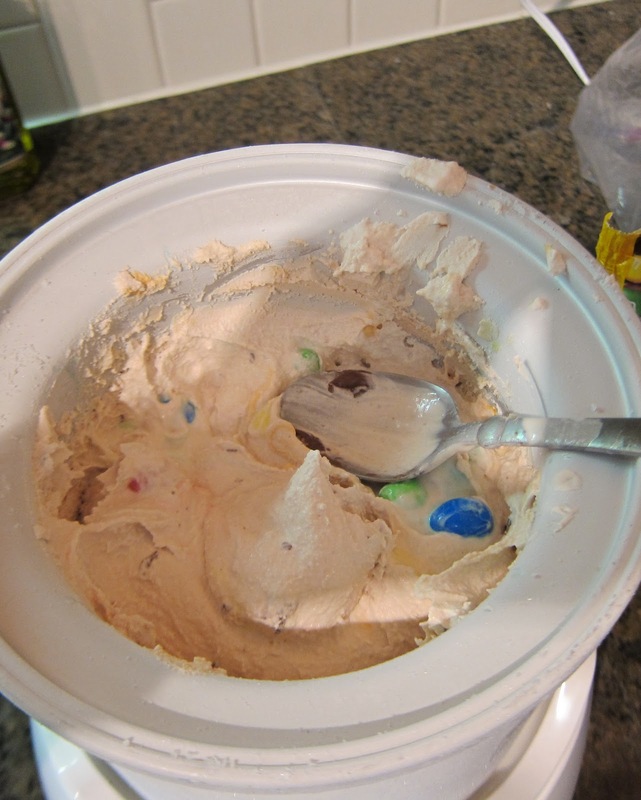 Then add spoonfulls of nutella and handfuls of m&m’s. Then try it directly out of the freezer bowl-this part is very important. Pour into a container and freeze for an hour or until completely firm! Enjoy! !